A slice through the centre of Australia, the Northern Territory contains the 'Red Centre' of the country with its rugged bush, ancient Aboriginal cultures and amazing plant and wildlife. The abundant wide open space is the 'Outback' of Australia. The Northern Territory is twice the size of California, but is inhabited by fewer than 200,000 people. The Northern Territory is a federal territory of Australia, with a mass that takes up most of the central and northern area of the continent. Largely desert, this region of Australia has only two major attractions; Darwin and Alice Springs. Flights to Darwin, Australia operate from varying airports worldwide, as well as within Australia, and direct flights to Alice Springs, Australia can be arranged with agents and ground staff. World War II history buffs should embark upon cheap flights to Darwin because the sheer volume of cultural and world history is waiting to be discovered, both World War II and Aboriginal history. Darwin was first discovered by the Dutch in the 17th Century, however it was the British that were the first to try and settle along the coast in the 19th Century – Darwin was the most successful settlement. 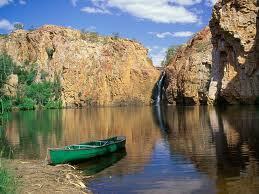 Now both Alice Springs and Darwin attract tourists that come to discover all corners of Australia. Those looking to uncover the Aboriginal legends are advised to find a cheap direct flight to Alice Springs, Australia and venture to Uluru, which is much like the heart of local Aboriginal Tribes. Directflights.com can help you find your cheap flight to the Northern Territory, Australia; just by clicking any of the links below or using our flight search box, we list the cheapest flight to the Northern Territory, Australia as well as all the direct flights to the Northern Territory, Australia. For those wishing to travel from Darwin to Alice Springs, settlements are few and far between especially as you get further inland. Some might choose to get cheap direct flights from Darwin to Alice Springs, Australia, more adventurous travellers may wish to get the train through the desert and visit the likes of Katherine and Tennant Creek before reaching Alice Springs. The climate in the Northern Territory is divided into two different climate zones. The north, including Darwin, is tropical with high humidity and a wet season (November to April) and a dry season (May to October), influenced by monsoons. The temperature in Darwin is usually constant all year round, with a maximum average temperature of 89.2°F (31.8°C) in January and a minimum average temperature of 76.7°F (24.8°C) in July. Rainfall in the wet season can be very heavy and the coast is susceptible to tropical cyclones. The central part of the state is the desert centre of Australia, and includes Alice Springs and Ayers Rock. 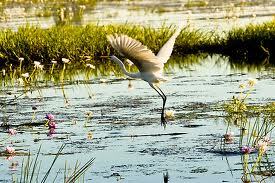 The area has a semiarid climate with little rain, which usually falls during the hottest months from October to March.